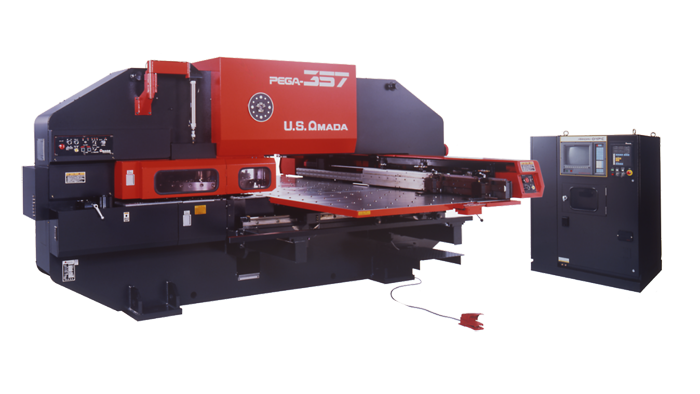 The Pega 357 is a mechanical turret punch press with Amada’s unique bridge frame design. 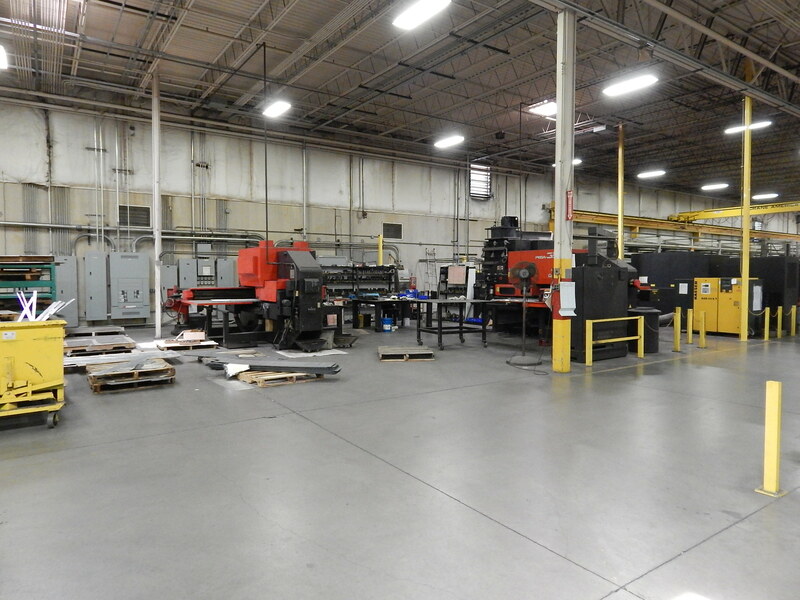 The Pega 357 provides 33 tons of punching force and can process 50″ x 144″ sheets with a single repositioning cycle. The Pega’s mechanical ram ensures tighter tolerances, extended tool and machine life, superior edge quality and accuracy. It provides a maximum 350 hits per minute, with 200 hits on one-inch centers. The 58-station triple-track turret with two 1.25″ auto-index stations greatly reduces tool changing, processing time and tooling costs. 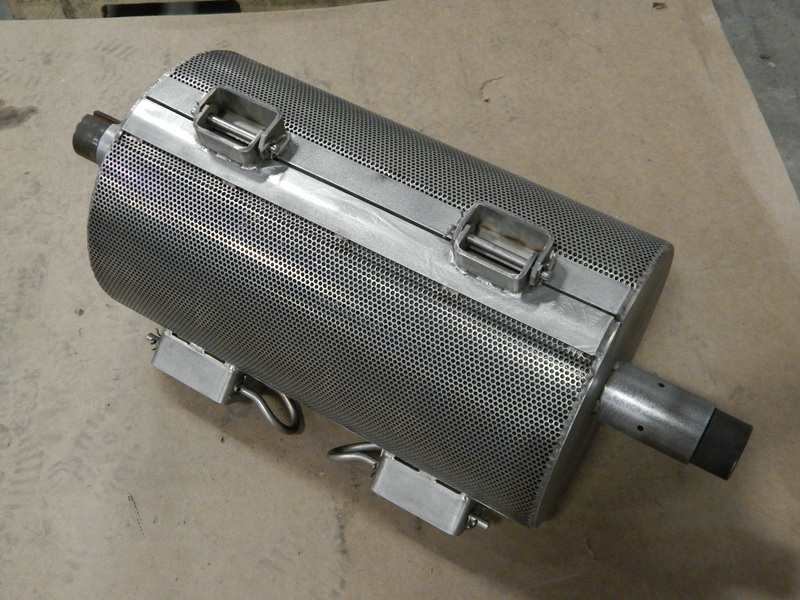 It maximizes machine flexibility and provides finished part quality. 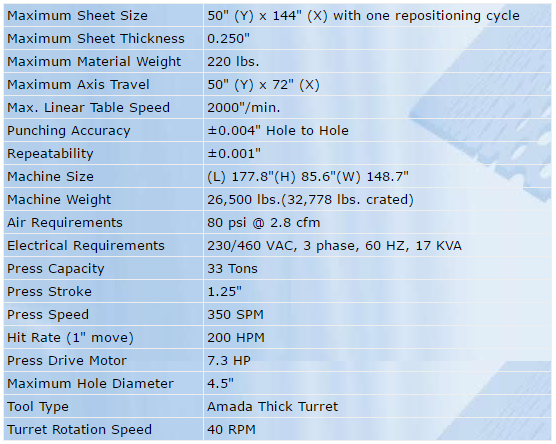 The Pega 357 is a high production specialist of short-run sheet metal parts. 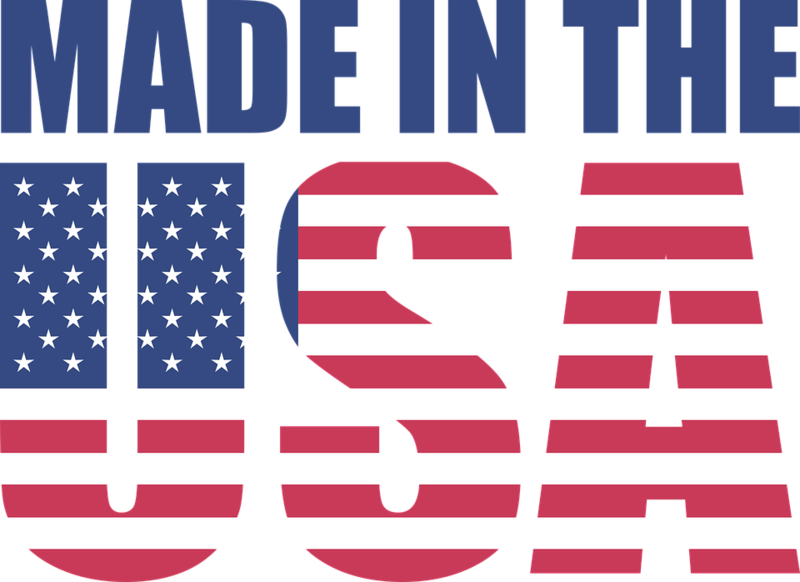 It provides efficient manufacturing of parts with minimum setup and maximum machine utilization. 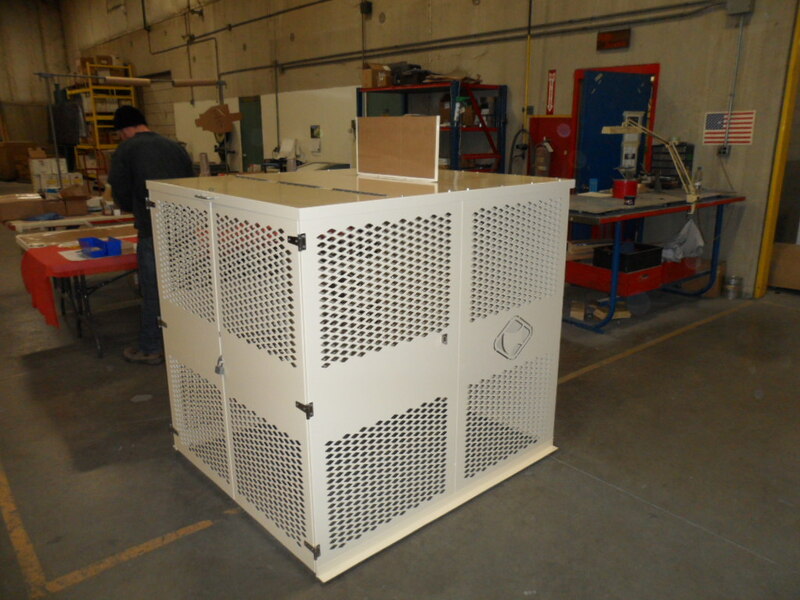 Its forming capabilities help to eliminate secondary operations. Its hydraulic clutch and brake system provides constant and stable punching over long production runs and reduces noise.